I have something new for you today! From now on, I am going to be running a new feature on my blog. Simply called "Friday Feature", each Friday I will be... well... featuring a company, person or product I love. If this is something you would be interested in being part of, whether as a company or fellow blogger, please get in touch with me and I'll see what I can do! I have serveral weeks worth of posts lined up and today I'm very pleased to start with a lovely new company! Let me introduce to you Funky Little People. If you are a regular reader you no doubt know all about my love of Scandinavian children's clothing. Ethan can often be found wearing Smafolk, Katvig, Molo, Snoozy and many other Scandi brands. I first discovered them when I was pregnant and I fell in love. Perhaps the closest you can get on the UK High Street is H&M but if you want bright, funky and eco friendly clothiong for your child, Scandi is where it's at! 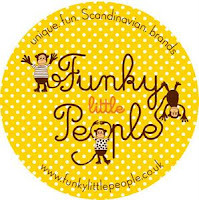 Funky Little People started life as an eBay shop but recently Anna (the owner) decided to branch out and launch a web shop. I followed Funky Little People on Facebook and bought in the past via eBay so I knew all about Anna's new venture and wanted to help out in any way I can. This is what brought Friday Feature about! In these times of recession, I want to help out businesses in any way I can, especially ones I like and support. 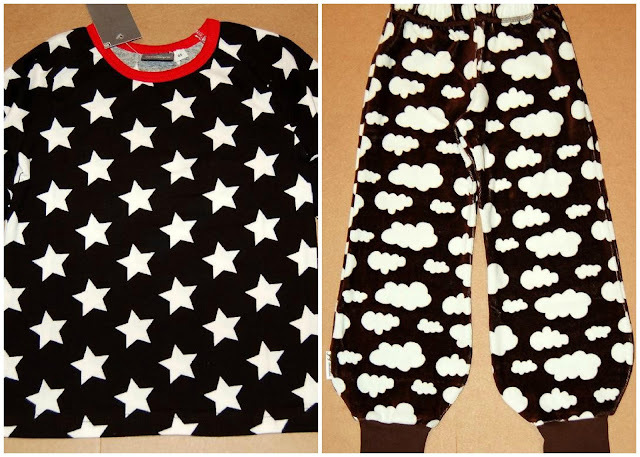 Anna stocks a variety of children's clothing via Funky Little People. The brands she stocks at present are Snoozy, Jny Design, Snoffs & Nosh Organics. She also stocks accessories such as card holders and postcards. Perhaps best of all (and something quite unique!) 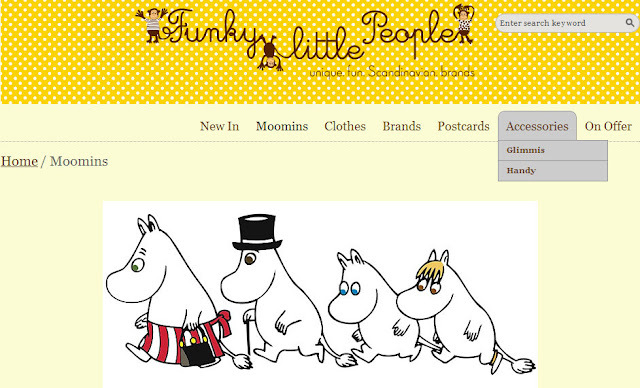 she stocks a whole host of Moomin goodies including clothing! Anna has quite a few bargains available at Funky Little People - for example, there are some beautiful blankets which are £16 instead of £30. I know I'm tempted by them, even though I have more blankets than a blanket shop! Also, some fantastic trousers and tops such as these! I think I'm going to be buying a pair of these trousers for Ethan when we next get paid, and I suspect one of the blankets because you can never have enough spare (beautiful) blankets in the car, can you!!! After all, we will have an extra person in need of a cosy blanket in a few weeks! I recommend checking out Anna's shop. Please remember it's in it's early days, Anna is planning on having more stock soon. In the meantime, we have a little something for you, lovely readers!! Are there any Moomin fans among you? 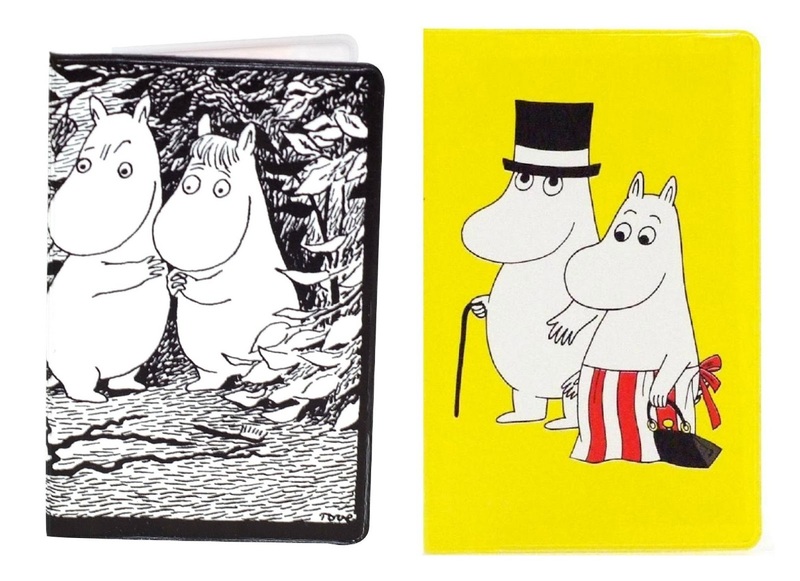 If so, you're going to like the giveaway Anna and I are running - Anna is offering up two lovely Moomin card holders, great for keeping cards handy in your bag, or if you have a bus pass or similar transport season pass you need to hand. So - if you want to be in with a chance of winning one of the two card holders, please use the Rafflecopter below. In the meantime, do go and check out Funky Little People! I love her shop and lovely customer service too! I love Moomin characters PINK kimono wrap long sleeved bodysuit, its a lovely colour and a very useful item to mix and match with other outfits, eg skirts, trousers, leggings etc. i love that top and trousers you put in the post, also moomin tights would be pretty cool! The dress designs are looking unique and attractive. My great pleasure to visit your website and to enjoy your excellent post. Keep on posting and thanks for sharing this Information. Polarn O. Pyret - Easter Egg Competition!